Composed by Giovanni Battista Pergolesi (1710-1736). Arranged by Jean Ashworth Bartle. Hinshaw Sacred. Sacred. Octavo. 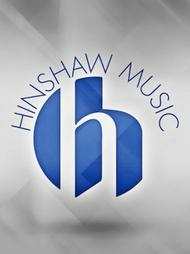 Hinshaw Music Inc. #HMB209. Published by Hinshaw Music Inc. (HL.8763170). G.B. Pergolesi arr. Jean Ashworth Bartle. The Stabat Mater is considered to be of 13th century Franciscan origin. In the 15th century it was used as a sequence in connection with the new mass of the compassion of the Virgin Mary and became an official part of the Roman liturgy in 1727. Picturing the darkest hour in the passion story, the poet poignantly describes Mary, the mother of Christ, broken by suffering, weeping at the foot of the cross. The setting by Pergolesi, composed in Naples, Italy shortly before his death from tuberculosis at the young age of 26 is recognized as a masterpiece. Pergolesi has cleverly combined 2 styles: the learned counterpoint of the style Antico and the new decorative language of the Neopolitan opera. Composer/critic Jean-Jacques Rousseau called the opening movement the most perfect and touching duet to come from the pen of any composer;. The final amen can be heard at the end of the movie Amadeus. Mozart greatly admired the music of Pergolesi. The complete work was first published in London in 1749. The excerpts that were chosen for this edition work extraordinarily well with young treble voice choir. Included In Collection: 1. Stabat Mater Dolorosa- Mvt 1. 2. Quae Moerebat Et Dolebat- Mvt 4. 3. Fac, Ut Ardeat Cor Meum- Mvt 8. 4. Inflammatus Et Accensus- Mvt11. 5. Quando Corpus- Mvt12. (Includes Mvnt Amen;). 1. Stabat Mater Dolorosa- Mvt 1. 2. Quae Moerebat Et Dolebat- Mvt 4. 3. Fac, Ut Ardeat Cor Meum- Mvt 8. 4. Inflammatus Et Accensus- Mvt11.